The Gift Of Friendship Is Invaluable. How to find friends? How to keep friendship? The history of friendship. 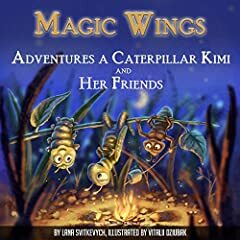 Many more adventures await the beautiful butterfly Kimi but next to her will be true friends, Nico and Alf. There is an opinion that when you tell your friends about your joy, then the joy becomes more and more. Take care of your friends, this is very important. Everyone makes mistakes, but if we love our friends we will find in ourselves mercy in order to forgive the mistake of a friend. At an early age, children are too small to conduct serious conversations about what friendship is and why it is so important. It is best to gradually and unobtrusively discuss the concept of friendship. To do this, you can often read books with a child and watch cartoons about friendship. Talk to the child, what is friendship? Why do people make friends? Is it important to have friends? Why do people sometimes act differently from what we want? What is the charity? The history of friendship and trust. Be sure to discuss this with the child after reading!